These grid and dot grid planner inserts are on A5 sized sheets which have been printed, cut, and hole punched to fit in many common A5 6-ring binders. 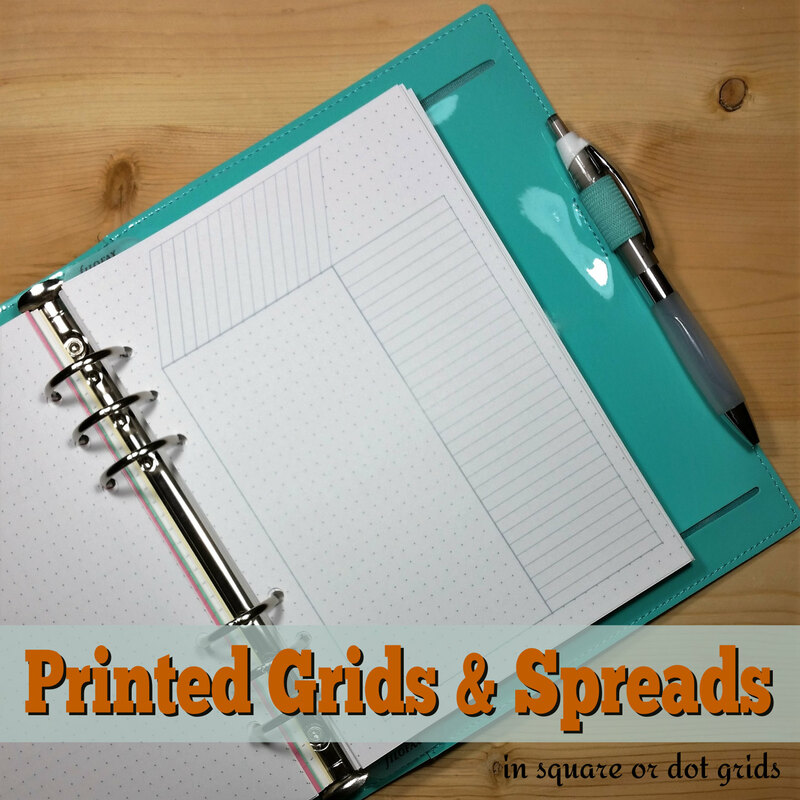 A set includes blank grid sheets and prints of 3 spreads, in either 5mm square grid or in 5mm dot grid. – Index or List Page – 3 sheets – Contains 31 lines and title box, perfect for index, monthly schedule, or lists. 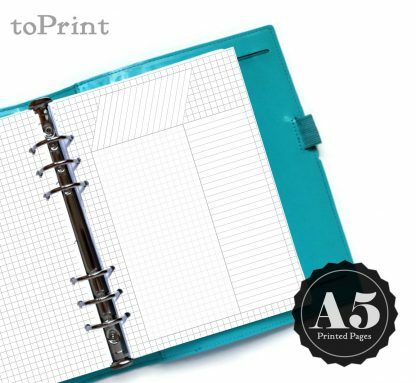 Blank grid printed on backs of pages. 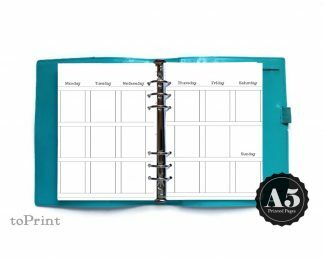 – Calendar – 3 sheets – Undated calendar with title and notes boxes. Blank grid printed on backs of pages. 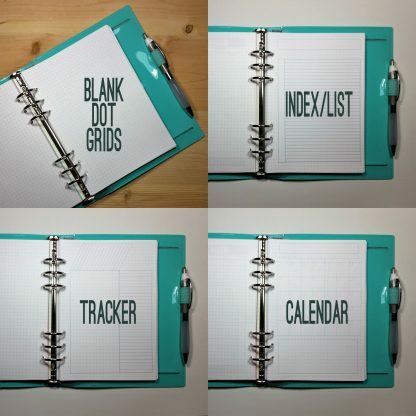 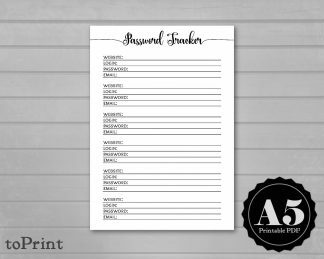 – Tracker – 3 sheets – Contains 31 spaces, perfect for charting habits, chores, or routine daily tasks. 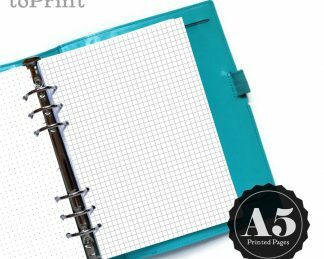 Blank grid printed on backs of pages. – Blank Grids – 25 sheets printed front and back, for 50 pages of grids.